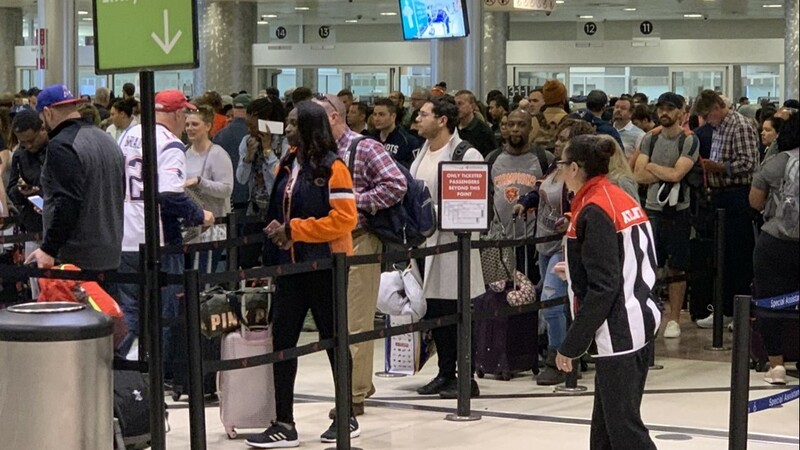 Passengers stand in long lines, waiting to get through a security checkpoint at Atlanta's Hartsfield-Jackson International Airport on Monday, Feb. 4, 2019, the morning following Super Bowl LIII. 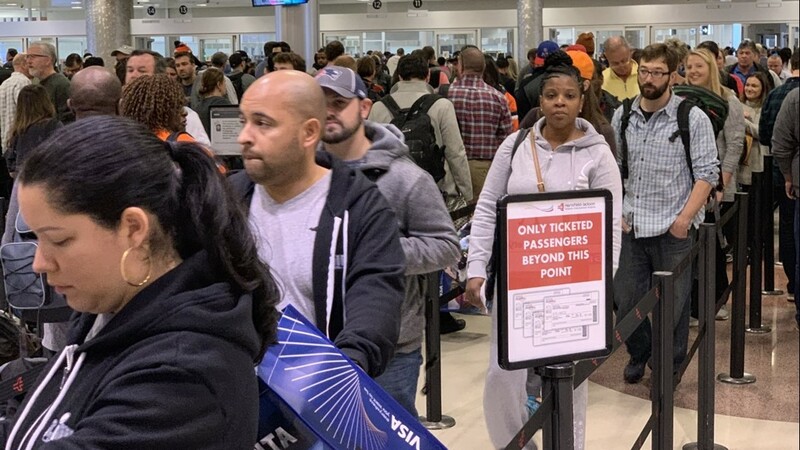 Wait times for the checkpoints exceeded one hour for awhile on Monday. 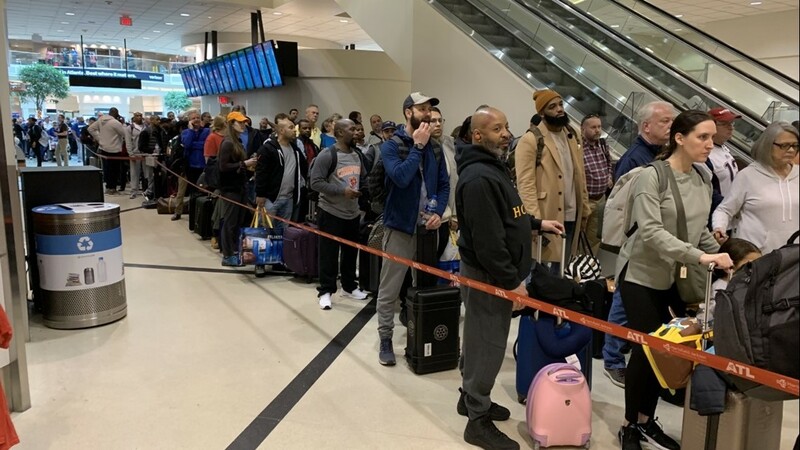 Passengers stand in lines stretching back to the atrium, waiting to get through a security checkpoint at Atlanta's Hartsfield-Jackson International Airport on Monday, Feb. 4, 2019, the morning following Super Bowl LIII. 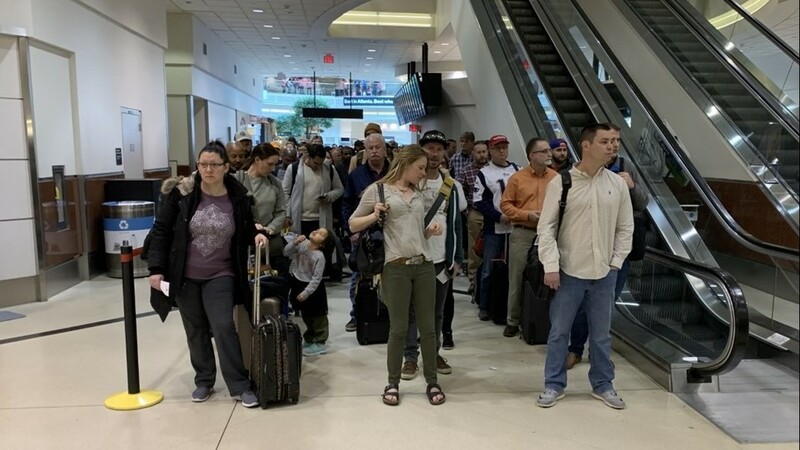 Wait times for the checkpoints exceeded one hour for awhile on Monday. 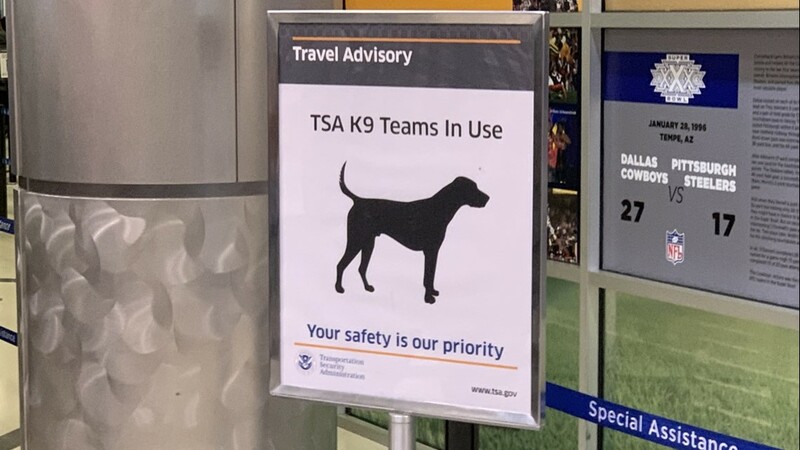 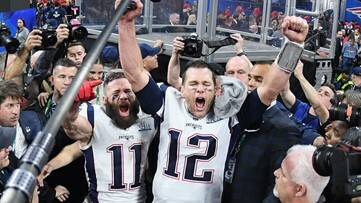 A sign advises travelers of K9 teams in use at a TSA checkpoint at Atlanta's Hartsfield-Jackson International Airport on Monday, Feb. 4, 2019, the morning following Super Bowl LIII. Wait times for the checkpoints exceeded one hour for awhile on Monday. Passengers stand in a line stretching back to the atrium, waiting to get into the main security checkpoint at Atlanta's Hartsfield-Jackson International Airport on Monday, Feb. 4, 2019, the morning following Super Bowl LIII. 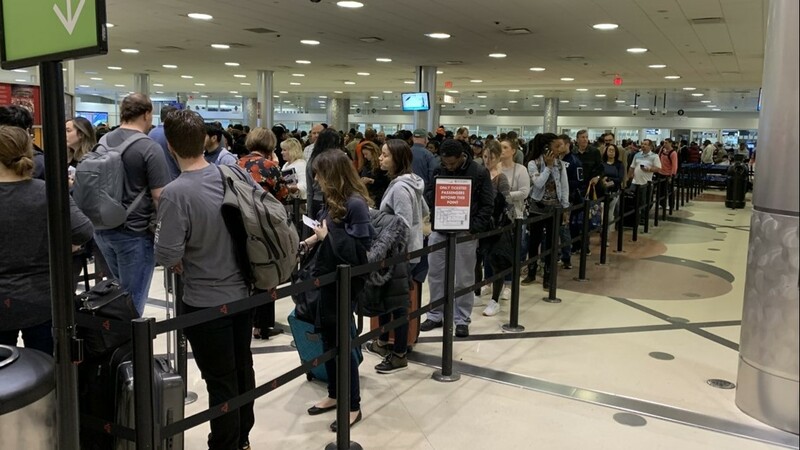 Wait times for the checkpoints exceeded one hour for awhile on Monday.